Miniature turf houses with mossy roofs! 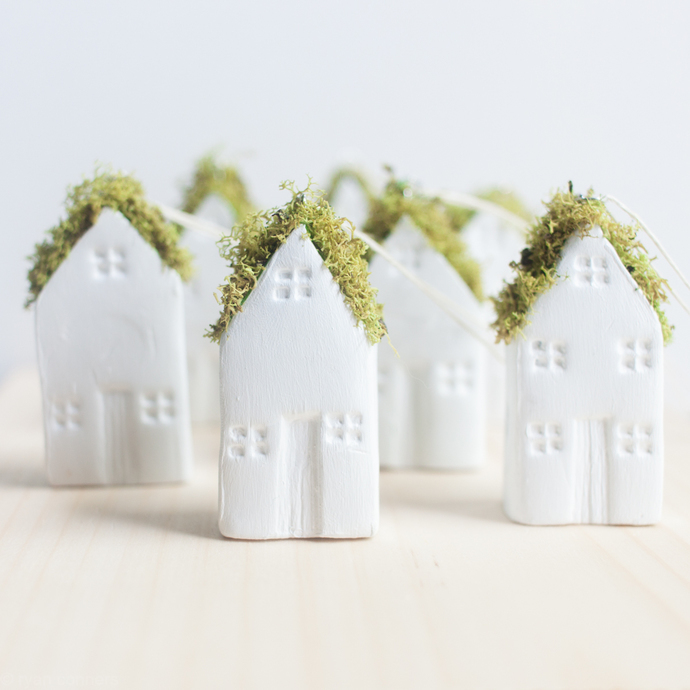 These are ornament versions of the white mossy roof houses. This is for one (1) white house with a moss roof ornament. Each house is handmade, so no two are alike. Would you like the door painted a color? Feel free to let me know at checkout, and I will gladly paint it! Silver eyelet with a hemp string attached for hanging.